Designed to take full advantage of the magnificent sea views, this stunning project has been completed to the highest of standards. Project Limnos Gardens Universal Kato Paphos is an outstanding complex comprises of spacious well-designed maisonettes, separate blocks of 1 & 2 bedroom apartments. Project Marina Villas Potima Paphos is an attractive project is situated in the fashionable area of Potima in Peyia and boasts panoramic views of Paphos coastline and to the location of the new marina. Offering spacious family accommodation to the highest of standards. Project Prengos Sea View Villas Neo Chorio Polis allows you to imagine and live with spectacular views across Chrysochous bay, one of the most beautiful areas on the island and breathtaking sunsets over the Akamas Peninsula. Immerse your body and spirit in true luxury in your villa built to maximize harmonious and refined modern lifestyle. Pengos Custom Sea View Villas Project Neo Chorio Polis Imagine spectacular unobstructed views across Chrysochous bay, one of the most beautiful areas on the island and breathtaking sunsets over the Akamas Peninsula, all from the comfort of your hammock. Immerse your body and spirit in true luxury in your custom-designed villa, built to maximise harmonious, and refined modern lifestyle. Project Venus Beach Villas Latchi Polis The style of our spacious beachfront home is reflected in the open floor plan, offering great versatility and with mesmerising views creates an enchanting environment for easy, relaxed waterfront living. Conveniently located near fine restaurants, marina, boutique shopping and a short distance to the nearest golf course, this extraordinary property is just minutes away from the picturesque town of Polis. Boating and fishing enthusiasts will appreciate Latchi marina with its variety of water sport facilities. This Project has well proportioned bungalows with options of 2 or 3 bedrooms, and is located within walking distance to Kathikas village square and a host of local amenities. Designed to make the most of the views, the property boasts 2 bathrooms (master en suite), a spacious open plan living dining area, and there is a plot for a custom villa of your design. Mesa Chorio Villas Paphos is a project offers spacious detached villas they features stunning views of Paphos coastline and offer high quality finishes throughout. Comprising of an Italian styled kitchen with dining area off, large open plan living area leading to a spacious patio, bedrooms with shower room, a further en-suite double bedrooms leading to a large veranda. Ideally located, the villas are within a short walk to the village center and a just few minutes to the International school. Venus Sea View Project Geroskipou is a small, exclusive luxury development, consisting of one and two bedroom ultra modern apartments boasting a large communal swimming pool, landscaped gardens and allocated parking. 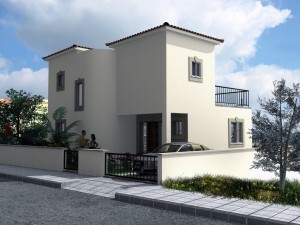 Each apartment enjoys a spacious veranda with unobstructed views of Paphos coastline. The project is conveniently located within easy walking distance from Geroskipou village square and just a few minutes away from Kato Paphos with its array bars, restaurants and blue flag beach. Tala Sea View Project Tala is an exclusive development of just 3 luxury villas located within walking distance to Tala village square. Designed to make the most of the magnificent views. Akamas Sea View Villas Project St George Peyia On the border of the Akamas Nature reserve and at the last point of allowed construction, Maispa Developers are offering an exciting selection of villas in a variety of styles and designs. Akamas Gardens Project Prodromi Polis is ideally located,offering apartments, maisonette and villas the project is within walking distance to Polis town and Latchi Marina. Boasting magnificent sea and mountain views.